Q: I’m going to kind of go against the grain here and challenge us to … think about the media cartels, which control and dominate the way that the discourse is shaped. Is that not fake news in certain ways? … So for example, I’ll talk about the events in Gaza three weeks ago. Every American — every mainstream American and world outlet wrote a title that said, “Palestinians killed” or “die in clashes with Israel.” There were snipers, hundreds of feet away, shooting at unarmed demonstrators, but every major newspaper outlet — or every major news outlet called it clashes. No one calls that fake news. STENGEL: So just to — so a — so give me — give examples of the master narratives that existed — or still exist that maybe need to be questioned. Q: American master narrative about — what is it — destiny — manifest destiny. American narrative about entitlement to American land despite American — Native Americans’ presence and the massacres against them. The denial of the continuing aftermath of slavery that is continuing to be a part of American mainstream media and mainstream consciousness. STENGEL: So I’ll — you will be the last question, but I just want to weigh in on that for one second. So there’s another word for master narratives. It’s called history. Basically every country creates their own narrative story and, you know, my old job at the State Department was what people used to joke as the chief propagandist job. We haven’t talked about propaganda. Propaganda — I’m not against propaganda. Every country does it, and they have to do it to their own population [he is saying that every nation is the same in this regard], and I don’t necessarily think it’s that awful. And this idea of a news cartel — I mean, I was editor of TIME in 2012, during that election, and I remember — you know, you were competing against cartels and everybody. I remember being on a panel with the then-editor of The New York Times, who said, it’s really hard to break through these days. This is the editor of The New York Times saying it’s hard to break through. 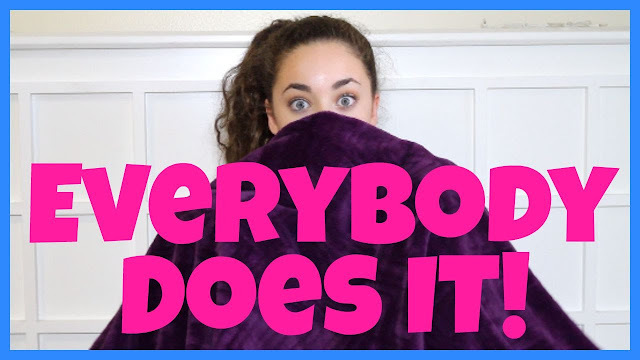 I almost — I wanted to jump off the platform — like, what’s it like for the rest of everybody? So, I mean, there’s no — I mean, there are cartels, but the cartels don’t have hegemony like they used to. The gentleman right there. Last question. Q: I don’t think you all addressed her issue, which I [would] put in terms of understanding what happens in the world, because what is happening in America is what I’m — the United States flipped on the Global South and in the Third World, which we live with for many, many years in terms of a master narrative that was, and still is, propaganda. STENGEL: You know what? I hate last questions — (laughter [from the audience — they evidently felt that this statement from Stengel was humorous; and the panelists, too, at 1:16:55 in the video, were smiling at his saying this, apparently sharing Stengel’s clear hostility toward that questioner, and toward his question]) — don’t you? [One of the panelists here, who was still smiling, now shook her head vigorously yes while raising her right eyebrow also in assent to this] I never — I usually just want to end something before the last question. And I do want to say I actually think the — I mean, talk about optimism. I mean, the optimism is all of you there figuring out how to teach your students about this, and using some of the techniques and some of the sources that we’ve talked about here today, and I hope you are successful. And, yet, instead of booing here at the end, the assembled professors issued “Applause.” They had just been told that American propaganda being directed at the American people, by the U.S. Government and its “media cartels,” is good, because it’s what creates “history,” and it consists of real news, not the fake type. And things such as what the Euro-Americans did (or do) to America’s natives don’t belong in America’s “master narrative” or ‘history’, and so are better ignored, not mentioned. These professors didn’t think that what Stengel and his ‘experts’ had said was disgusting; they didn’t think that any professor who accepts it should be fired; they instead thought that this is actually the way professors should be, and that it’s what they should do, and should inculcate into their students. Perhaps this is the reason why the youtube’s title, “TIME Editor Literally Admits He’s For Gov. Propaganda!” ended in an exclamation-mark: the discussants there, in that “Jimmy Dore Show” segment, were stunned — even though they had failed to make note of the fact that Stengel’s “Workshop” was for ‘historians’ and other academics, and so was even more disgusting than Dore and his guests noted it to have been. But, otherwise, they covered well the putrid ground of this CFR Big-Brother seminar, which had, in fact, been designed for the CFR’s invited academics (people selected by CFR , so as to train them, essentially, to propagandize for their “master narrative”), to teach to them what and how to teach to their students. This was like a seminary, except for representatives of the aristocracy, instead of for representatives of the clergy. That’s the entire Maddow Show, dated 21 August 2017. That’s just one of the innumerable examples, of how the people who control America, manufacture consent, to being ruled by them. What the public need — or even want — is ignored, except as something to be manipulated by the owners of the “cartels” (those presenters’ ultimate bosses). The end (those owners’ dictatorship) justifies any means, and truth is simply to be ignored. This is what Stengel’s workshop taught, and what MSNBC was pumping out to its market. The United States Commission for International Religious Freedom (USCIRF) has released its latest report on the situation of religious freedom in countries across the globe. 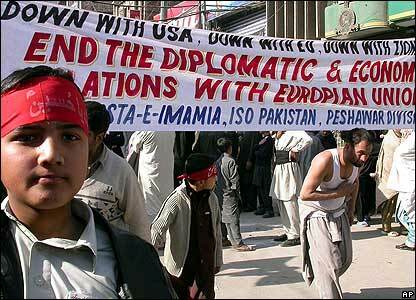 USCIRF has urged the United State government to designate Pakistan as a Country of Particular Concern. (CPC) under IRFA. 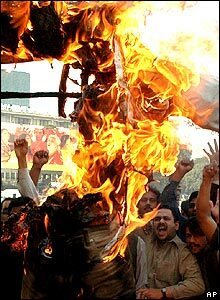 The report says that the banned groups are increasingly targeting the religious minorities in Pakistan. “In 2017, religious minorities in Pakistan, including Hindus, Christians, Sikhs, Ahmadis, and Shi’a Muslims, continued to face attacks and discrimination from extremist groups and society at large. The government of Pakistan failed to protect these groups adequately, and it perpetrated systematic, ongoing, egregious religious freedom violations. Various media outlets promoted intolerance against religious minorities. Abusive enforcement of the country’s strict blasphemy laws resulted in the suppression of rights for non-Muslims, Shi’a Muslims, and Ahmadis,” the report stated. The matter of forced conversions was also highlighted by the Commission, as it found that the non-Muslims were forced to convert. “Forced conversions of non-Muslims continued despite the passage of the Hindu Marriage Act, which grants greater rights in family law for Hindu citizens”, the report said. The commission said that the hardliner groups are entering the political arena. This phenomenon is becoming a threat to the religious minorities. “The entry of fundamentalist, and often extremist, religious parties into the political arena in advance of July 2018 national elections further threatens religious minorities’ already precarious status in the country”, USCIRF stated. In May, last year a USCIRF delegation called on the Pakistani authorities, the religious and civil representatives in Pakistan. Bearing these findings in mind, the USCIRF has recommended designating Pakistan as a country of particular concern. 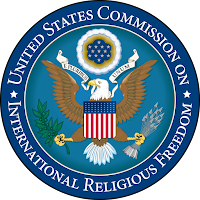 “Based on these violations, in 2018 USCIRF again finds that Pakistan should be designated as a “country of particular concern,” or CPC, under the International Religious Freedom Act (IRFA), as it has found since 2002. Despite USCIRF’s longstanding recommendation, the State Department has never so designated Pakistan. In December 2017, the State Department named Pakistan as the first, and only, country on its “Special Watch List,” a new category created by December 2016 amendments to IRFA”, the report says. 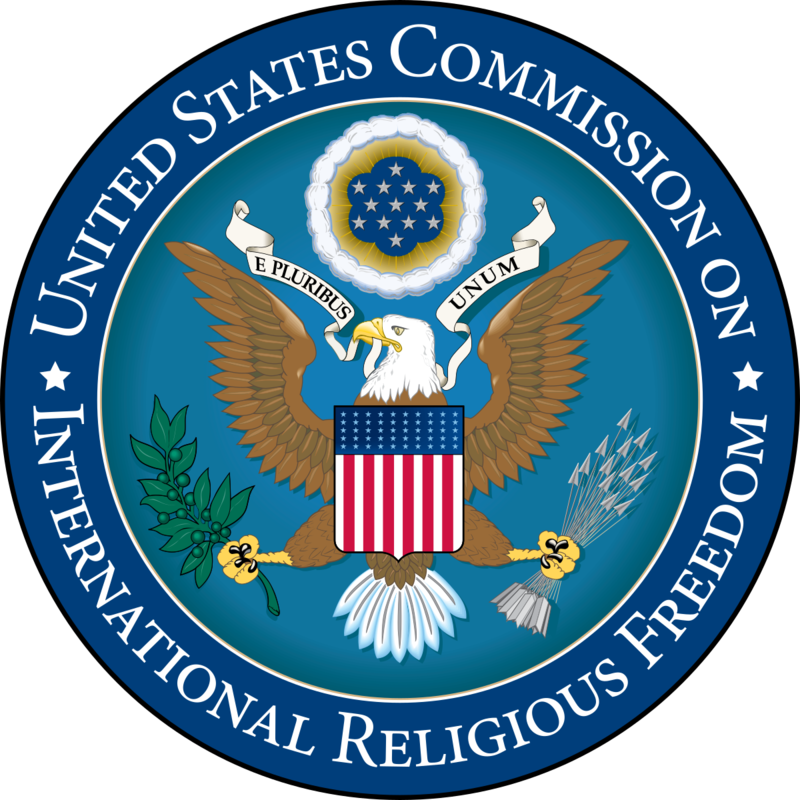 USCIRF report harbors some recommendations to the United States government. The US government was urged to bind Pakistan government to help the imprisoned blasphemy victims. 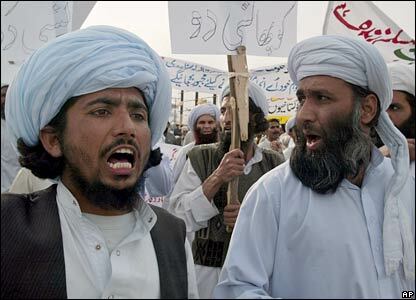 “Negotiate a binding agreement with the government of Pakistan, under section 405(c) of IRFA, to achieve specific and meaningful reforms, with benchmarks including major legal reforms and releasing blasphemy prisoners, and accompany such an agreement with U.S.-provided resources for related capacity building through the State Department and U.S. Agency for International Development (USAID);” the report said. “Encourage the government of Pakistan to launch a public information campaign about the historic role of religious minorities in the country, their contributions to society, and their equal rights and protections, and use the tools of U.S. public diplomacy [JB emphasis], such as educational and cultural exchanges and U.S.-funded media, to highlight similar themes;” USCIRF recommended. The battle for international public opinion is raging. Image from article, with caption: A female Palestinian demonstrator during a protest against US embassy move to Jerusalem, at the Israel-Gaza border, east of Gaza City May 14, 2018. The dust has yet to settle, and the two sides in the short round in Gaza are already claiming “victory” and presenting visuals to prove their claim. The IDF is showing photographs of its strikes against targets in Gaza, and Hamas is marketing video footage of mortar and rocket launches against Israel. Netanyahu says, “We delivered a punishing blow,” and Hamas declares, “We’re ready for the next round.” The battle for international public opinion is raging. The confrontation in Gaza was foreseeable. Last month was billed as “May the terrible.” It began with skirmishes along the border fence, and ended with barrages fired into Israel from the Palestinian side and dozens of Israeli aerial assaults against Gaza. The Israeli response was measured and judicious. The main surprise was what did not happen. There were no substantial casualties on either side. Hamas did try, but failed, utterly. Israel’s warning and interception systems worked well, and blocked the shells and rockets. The IDF understood that it all depends on the number of casualties. More casualties, in addition to the 100 killed and thousands injured at the fence, would have handed Hamas a victory in the battle for international public opinion. Thus, the international response was positive, relatively. This was true in the US, as expected, but also in Europe, which is usually more problematic. These facts demonstrate that the formula is correct. When there are no casualties on the other side, the claim of self-defense works and the messages of public diplomacy [JB emphasis] are effective. 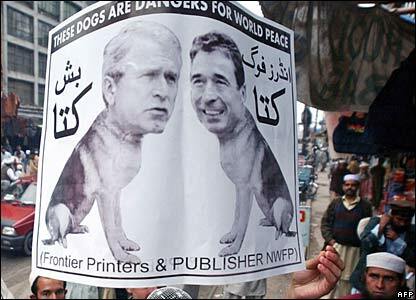 The principles of the “new war” were vividly illustrated here. The Palestinians succeeded in drawing international attention to their difficult situation. After so many low-intensity battles, they realized they would not achieve any military gain. However, to reach the front pages and primetime newscasts, they do not need spectacular events. They are just looking for the spark, the tail of the kite, to ignite the fire. The Israeli side has also internalized the lessons of past operations. The IDF conducted pinpoint attacks, primarily aimed at destroying terrorist infrastructure and involving minimal injury to people, and reinforced its deterrence. However, we should not fall into the illusion that everything will happen the same way in the future. First of all, there were miracles. One rocket hitting a preschool full of children (instead striking just before they arrived for the day) could have completely changed the course of events and propelled the IDF into the Gaza Strip on a pointless military operation, without an endgame. Gaza continues to simmer. The Palestinian distress is beyond imagination; water, electricity, employment and services are all in dreadful condition. The population in Gaza sees no hope. They may build a tunnel occasionally, but the light at the end of the tunnel means nothing from their perspective. The tunnels are discovered and blocked, and soon, when the underground barrier is completed, tunnels will also become futile. On June 6, we will mark Unity Day, commemorating Eyal, Gil-Ad and Naftali – the three teenagers kidnapped and murdered near Hebron by Hamas four years ago. 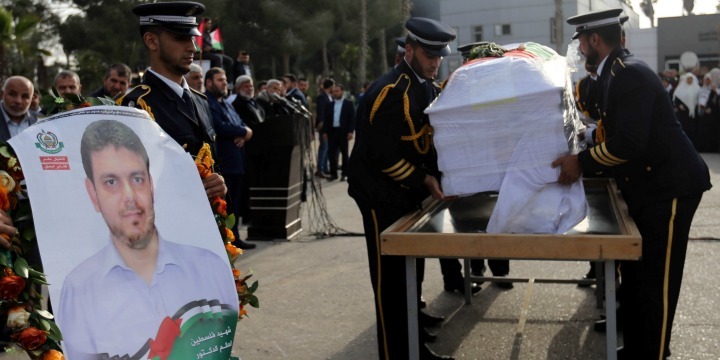 Their murder was the prelude to Protective Edge, a military operation that lasted for 51 days. Unfortunately, Israel failed to leverage the operation’s military achievements. Four years passed in rare, complete quiet, and thousands of new residents flocked to the Gaza border communities, generating economic and social prosperity. But this period was not exploited to advance a long-term accord. Without such an accord, the quiet is temporary and deceptive. GAZA NEEDS a Marshall Plan to rehabilitate and rejuvenate it, and to allow its residents some chance of a reasonable life. Nothing more. Without this, bitterness and frustration will continue to fester and find an outlet in acts of terrorism, in one form or another. People who have something to lose are in no rush to endanger their lives in violent confrontations with an army or to become terrorists. They want to live. If they have nothing to lose, history teaches us, they turn to the path of violence. We need to offer a deal to Gaza: rehabilitation in exchange for demilitarization. Hamas will disarm, retreat from the border and, of course, will refrain from attacking Israel. In return, Israel will not interfere in Gaza and will work in coordination with the international community, which will initiate and lead the rehabilitation project. Ideas in this spirit, in one version or another, have been raised in the past and were not implemented. Israel has no desire to lead such actions, and perhaps lacks the courage to do so. That is a mistake. Without creating a strong Gazan interest in an accord, the powder keg will explode. This week we saw only the initial sparks. We were able to prevent the great explosion, but it is coming. 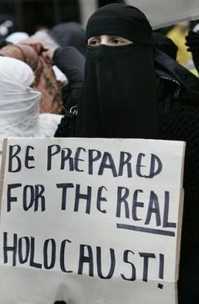 And what will happen with Hamas? It will either learn to live in new circumstances or exit the stage. Who will replace Hamas? It is not clear. If Islamic Jihad wins, we will receive a new and even worse version of Hamas. But this is not the only scenario. Another possibility is that a new, sane leadership will emerge in Gaza, with an interest in preserving the quiet over the long term. There was nothing new in the events of this week. Israeli demonstrated its strength and capabilities, and the Palestinians showed us that they have also used the time to build their strength. Meanwhile, this week has not produced any signs of readiness for a long-term accord. If that is the case, I conclude, sadly, that we must prepare for the next round. There is no doubt that it is coming. The picture of victory I seek is significant, but not very dramatic: Farmers working their fields on both sides of the border, and children flying kites in the sky – without any kite tails on fire. Just imagine. It could happen. The writer is a Zionist Union MK who serves on the Knesset Foreign Affairs and Defense Committee. His book on Israel’s public diplomacy, Hearts and Minds: Israel and the Battle for Public Opinion, has just been published in the US. It’s no secret that, within Muslim countries, Denmark has an image problem. 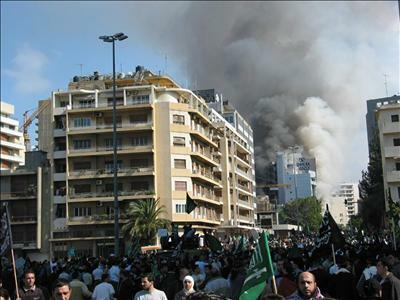 The September 2005 publication of cartoons depicting the Prophet Muhammad in the Danish Jyllands-Posten newspaper generated shocking uproar, with angry masses torching the Danish consulate in Beirut, the Danish embassy in Damascus, and Danish flags just about everywhere. 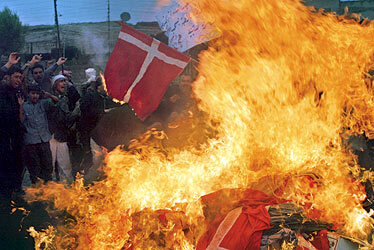 Prime Minister Anders Fogh Rasmussen declared the furor the worst Danish international relations incident since World War II, as his effigy burnt worldwide. One can hardly blame Denmark for wanting to resuscitate its image. 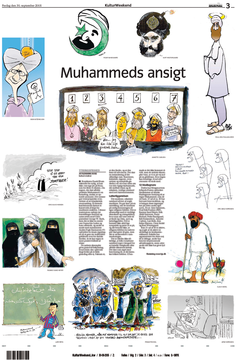 After all, the cartoons debacle erupted from an independent newspaper’s publication choices, and not Danish foreign policy. Yet the public diplomacy [JB emphasis] tactic it will employ tonight in Cairo reeks of hypocrisy. 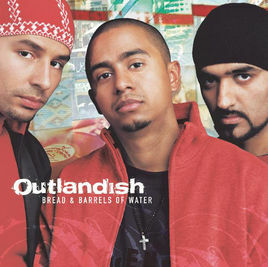 In a bid to shift the negative attention away from Denmark, the Danish Embassy will be hosting the band Outlandish, whose lyrics prominently emphasize anti-Israel themes. In “Look Into My Eyes,” for example, Outlandish refers to Israel’s existence as “terror . . . 57 years so cruel,” and ultimately blames the United States: “Americans do ya realize/That the taxes that u pay/Feed the forces that traumatize/My every living day.” The music video is particularly noteworthy, depicting an elementary school class play in which a Palestinian Little Red Riding Hood overcomes an Israeli Big Bad Wolf. In “Try Not to Cry,” meanwhile, Outlandish compares Israel to “the Crusaders and Mongols,” declaring “I throw stones like David before me.” On YouTube, one of their fan-made music videos heavily demonizing Israel has been viewed over a million times. When asked why the Danish Embassy would host such an event, Cultural Relations Officer Dorte Zaalouk called Outlandish—whose members are of Moroccan, Pakistani, and Honduran backgrounds—a “good example of integration in Denmark,” emphasizing that showcasing Danish-Muslim talent was essential after the cartoons public relations debacle. Perhaps, but wasn’t the Embassy concerned about showcasing a band that merely incites disdain for another country through its politically charged lyrics? “We don’t see it that way,” she said. Well, maybe Denmark should see it “that way.” After all, at the height of the cartoon controversy, Denmark was hardly the only country whose national symbols were desecrated: American, Israeli, French, and Norwegian flags, among others, were also incinerated, while the Norwegian embassy in Damascus was torched. That the Danish Embassy in Cairo has sought to improve its own lot by hosting the defamation of another country demonstrates both poor character and political short-sightedness. Alina is a founding member of the Interest Group established officially in 2016, following a collective effort of raising signatures that she co-ordinated as a volunteer. 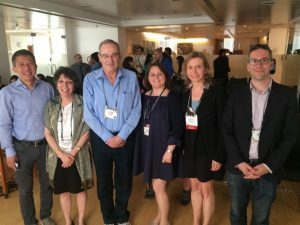 The Group has grown fast to over 100 members worldwide and brings together scholars investigating topics related to public diplomacy [JB emphasis], nation branding, country image and reputation, public relations for and of nations, as well as political, global and cultural communication influencing international relations. Secretary Pompeo is on travel to New York City, NY, from May 30-31. Please click here for more information. 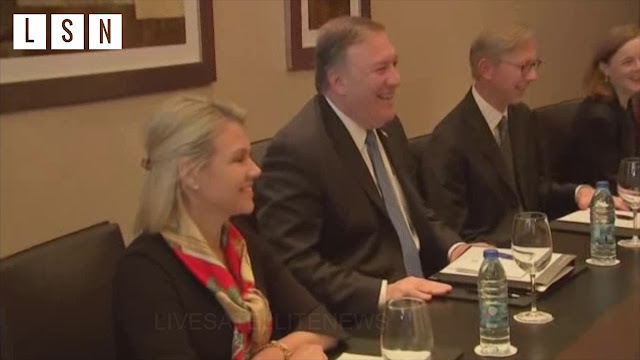 9:00 a.m. Secretary Pompeo meets with DPRK Vice-Chairman of the Central Committee Kim Yong Chol, in New York City, NY. 2:15 p.m. Secretary Pompeo holds a press availability in the Spellman Room at the Lotte New York Palace Hotel, in New York City, NY. Please click here for more information. Acting Under Secretary and Spokesperson Nauert accompanies Secretary Pompeo on travel to New York City, NY. Click here for more information. 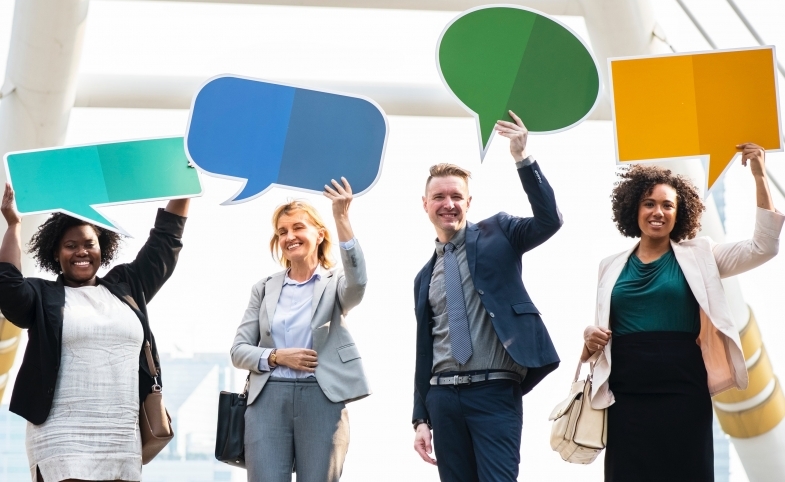 The fourth issue of CPD Perspectives on Public Diplomacy [JB emphasis] this year is an article by CPD Research Fellow Deborah L. Trent. "Many Voices, Many Hands: Widening Participatory Dialogue to Improve Diplomacy's Impact," details the strategic value of public-private partnerships for cooperation and peace among state and nonstate actors. Using several sister city relationships and respective diasporan communities as examples, Trent notes, "Building relationships with citizen diplomats extends practitioners’ presence across sectors and communities." Read this latest issue here. Video section of the application for the Communications and Public Diplomacy [JB emphasis] Coordinator. Image from article, with caption: Members of Hamas security forces carry a coffin containing the body of Palestinian engineering lecturer Fadi al-Batsh in the southern Gaza Strip on April 26, 2018.